IT WOULD BE overstating the case to claim that nobody disliked Barbara Anderson, the irrepressible "tax-cut tigress" who for nearly 40 years was the best-known taxpayer activist in Massachusetts. The longtime director of Citizens for Limited Taxation, who died of leukemia on Friday at 73, had an amazing gift for friendship that even diehard political foes found hard to resist. Jim Braude, a liberal's liberal who used to campaign as ardently for raising taxes as Anderson did for reducing them, always said that he liked Anderson as much personally as he disagreed with her politically. The two faced off in scores of heated public debates over tax-cut ballot initiatives spearheaded by CLT — debates to which they would travel together in the same car, their vehement clash over policy, even in the heat of an election season, never interfering with their friendship. Still, there were always some people who couldn't disagree with Anderson's views without being disagreeable. Full disclosure: When it came to Barbara Anderson, I was never neutral. We were friends for more than 30 years, and in all that time I can't recall exchanging a harsh word with her — not even when we had our own vigorous policy disagreements. In profiles she was routinely characterized as fiery or rebellious, but in my experience she was funny, affectionate, occasionally profane, invariably sincere, and never, ever, a prima donna. In an atmosphere thick with ego, she was never egotistical. Politics is full of deceit, but she was never deceitful. And time and again she surprised critics inclined to believe the worst of her by turning out to be so much more kindly and modest than the right-wing ogre they had imagined her to be. In his 2007 book on Massachusetts politics, "The Bluest State," Jon Keller recounted how a group of protesters, angrily opposed to a tax-cut proposal Anderson was supporting, decided to march on her home in Marblehead. They were intent on demonizing her "as a symbol of the obliviousness of the rich to the struggles of the poor," Keller wrote. After all, how could a resident of wealthy, tony Marblehead possibly sympathize with the struggles of the poor and working class? 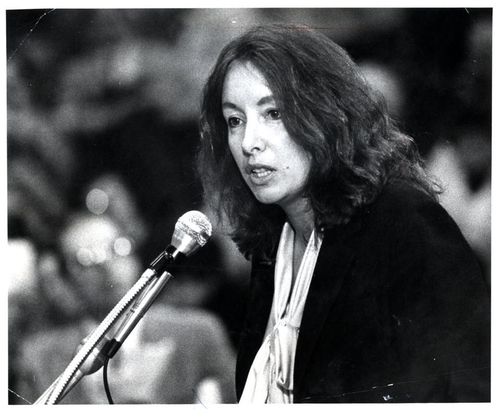 Barbara Anderson's greatest political triumph, the passage of Proposition 2½ in 1980, drove a stake through the heart of "Taxachusetts" by sharply curbing property-tax increases and slashing the auto excise tax rate by two-thirds. It proved to be one of the most sweeping and successful public policy reforms in modern Massachusetts history. But when the protesters reached Anderson's address, they found not a swank, waterfront mansion but "a tiny five-room cottage in need of paint and repair, stuck on a small lot with a view of the street and some tangled underbrush." Had she been home to open the door, they would have seen that the inside of the house was as humble as the outside. It was also a fine reflection of Anderson's quirky charm. I am quite sure she is the only taxpayer activist I ever knew, or am ever likely to know, with a decided hippy-dippy New Age-y streak. She was definitely the only one who ever invited me to visit the store where she liked to buy crystals, and who later offered to cast my horoscope. CLT was always tiny. It rarely operated on more than a shoestring budget. Before she retired as the organization's executive director, Anderson was paying herself the munificent salary of $10 an hour. Her goal was never to get rich, but she lived a life of wonderful richness. Summing up that life in her final column — for years, her essays appeared regularly in the Salem News and the Lawrence Eagle-Tribune — she wrote that she "had enjoyed almost everything, come to think of it," reflecting a hearty aptitude for appreciation and delight that her mother had always said was genetic. It was also infectious. When the news broke late last week that she had passed away, her longtime companion Chip Ford told me, he didn't think the phone would ever stop ringing. "It was like being in the closing days of a petition drive or campaign," he marveled. Barbara Anderson was the happiest of happy warriors, a breed we don't have nearly enough of these days. Her life left Massachusetts a brighter and better state. How much duller it's going to seem around here without her.